Brian Humphrey from England, a well-known plantsman/nurseryman – and seldom is one man both – is writing a book on propagation. He asked me to look at the maple grafting part in case I “see any mistakes which should be corrected.” The twenty pages I reviewed couldn’t have “mistakes” because it was merely discussing various methods and observations about maple propagation – and there really isn’t a right or wrong way. I did learn a few things and got some ideas to try at my nursery, and it wasn’t the first time that Brian has shared his plant knowledge with me. The following is my response to some of the topics that he brings up, but I won’t take the liberty to reveal his part – you’ll have to buy the book yourself. You mention the “remarkable” hybrid A. x ‘Purple Haze’. 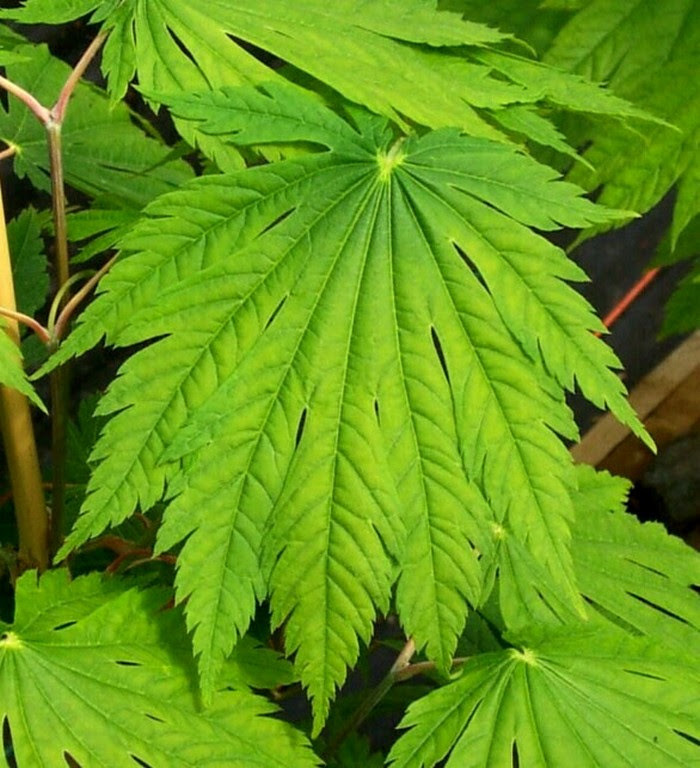 It arose in an outdoor seed bed of Acer griseum, and was noted for larger leaves with purple undersides. I sent plants to Europe 12-15 years ago, to Cor Van Gelderen and maybe others, and I was trying to receive confirmation that it really was a hybrid. I was hoping that “science” would look at it and make an official determination. I heard nothing further until the Maple Society Convention in Belgium in 2011. Generally half the attendees at these events are botanists, and the other half are simple rustics such as myself. 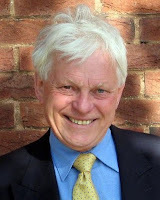 I have witnessed that most of the academics defer to Piet de Jong, that he is considered the highest authority on Acer. He smugly claimed that that the hybrid was “impossible,” that ‘Purple Haze’ was simply a variation within A. pseudoplatanus. 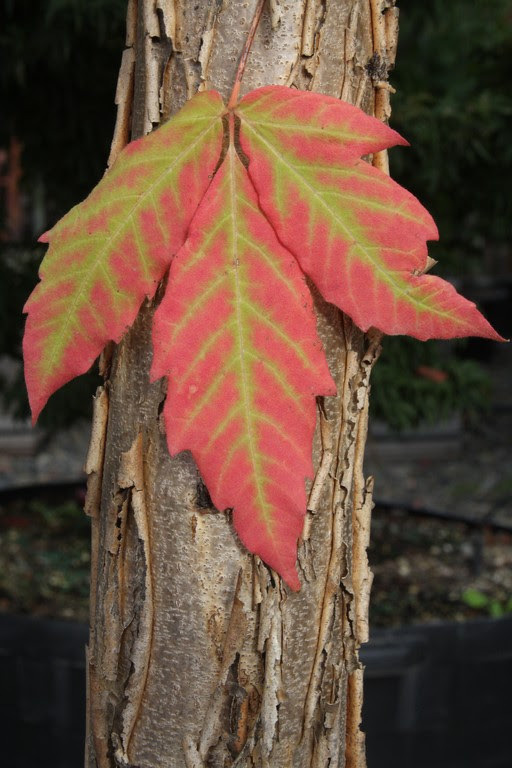 Interestingly the griseum-appearing leaf colors a fantastic orange-red in autumn, and I’ve never seen an A. pseudoplatanus do that. 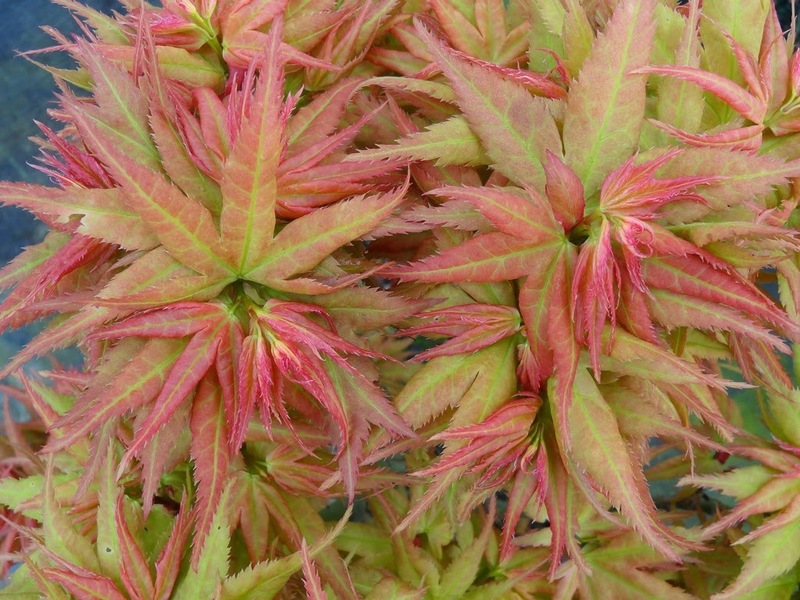 More ornamentally worthy than ‘Purple Haze’ is Acer x ‘Sugarflake’ and if it’s a hybrid (saccharum x griseum) then it is another cross between different sections. De Jong also dismissed that as a hybrid, and was certain that it was just a variation of Sugar maple. 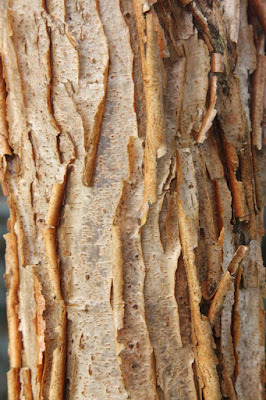 Of course he has never seen a ‘Sugarflake’ specimen, and I wonder what he would make of the (somewhat) exfoliating trunk which reminds me of x ‘Cinnamon Flake’ (griseum x maximowiczianum). 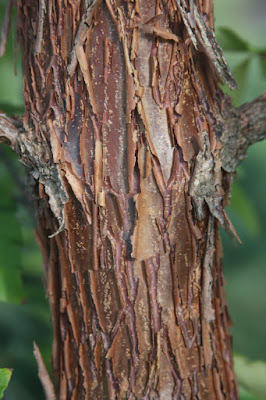 Thirty years ago seedling availability of Acer griseum was rare, so I propagated the paperbark onto Acer rubrum. One of the original grafts still grows in front of the house of the late Dr. Corbin of Portland, Oregon. The union is still smooth and the top and bottom were the same size the last time I saw it, but of course of very different color. Occasionally a rubrum sucker will try to form, and the family has been instructed to rub them off when small. I once had a seedling of A. griseum that was notably narrow, and I thought that if we propagated it would make a perfect street tree. 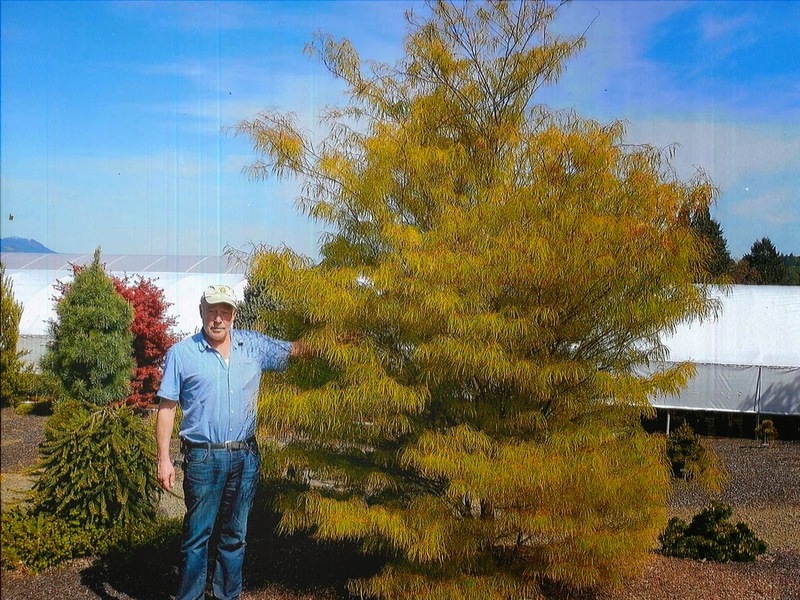 When my specimen was about 15’ tall, a customer – and now I can’t even remember who it was – begged and begged to buy it. I didn’t want to sell it but eventually I relented. Before shipping I harvested a few apical scions and grafted them on the only rootstock I had – Acer rubrum. A few grafts took and all of them have proceeded to grow as regular griseums, and none of them exhibit the narrow form. If you look at Buchholz introductions on our website you’ll notice Acer griseum ‘Narrow Form’. I don’t propagate it at all anymore because its not at all narrow. 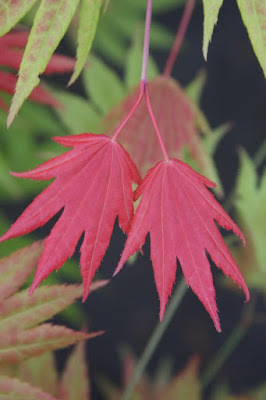 I have grown a few Acer nipponicum, but always as seedlings. 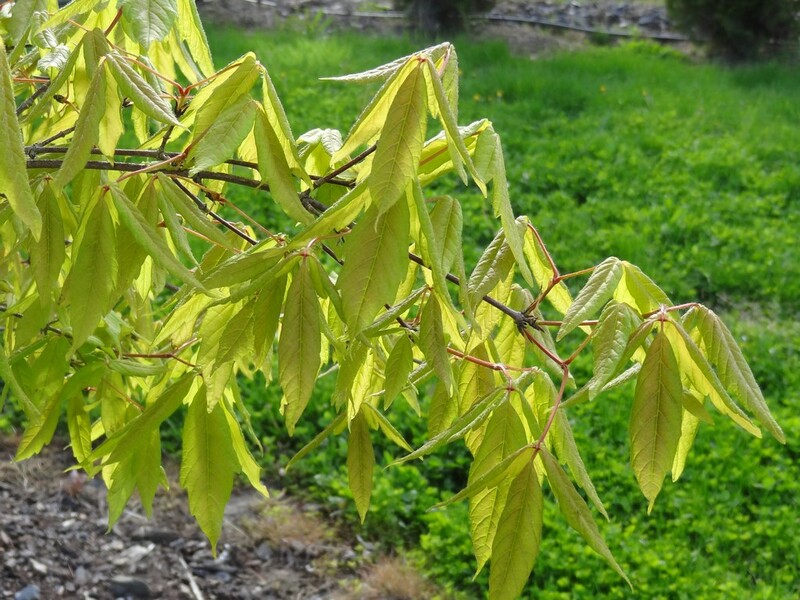 I once asked Peter Gregory if he knows of a suitable rootstock and he suggested that I try Acer pseudoplatanus “because it accepts almost everything.” My grafting resulted in 100%... failure, and I have never wasted my time again. 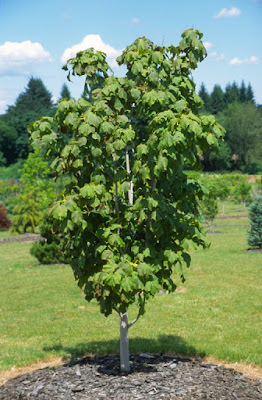 I notice that the suggested rootstock in Cor Van Gelderen’s table for Acer pentaphyllum is Acer pseudoplatanus. I have never tried that because I achieve good success with Acer rubrum. My success rates with grafting in October is that the earlier the better. I think I it is probably weather related, with some Oregon Octobers being cold and gloomy and others being warm and sunny. We really like to finish by mid-September. I was surprised to see Vergeldt in Holland grafting on October 20 one year. He used low plastic tubes with bottom heat and kept the grafts dripping with sweat. The rootstocks were pruned harshly with no foliage remaining, so there was no chance of them catching mildew or other disease. 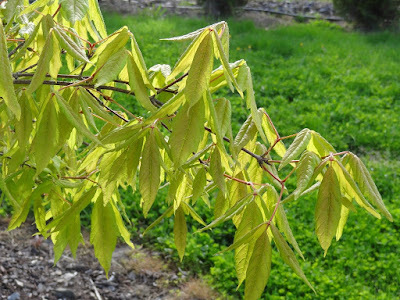 After 20 days, the grafts were uncovered and Vergeldt’s son implied that they would have good success, of course depending somewhat on the cultivar used. Two days later I flew home and copied the Dutch method as best as I could, but my results were poor. I couldn’t duplicate the feel of a Dutchman’s greenhouse – my humidity and light are so different in Oregon. I prefer to deleaf all scions – it just keeps the operation cleaner. I have experimented with keeping leaves on and that works as well, but it puts me in a bad mood to walk past a withered moldy mess. 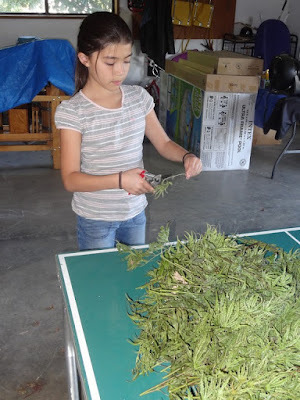 Besides I have grown closer to my youngest (now 11) daughter when we deleaf scions in the evening after dinner. She is fast! We had some empty spaces on our hot pipe after grafting Fagus, Quercus, and other species. 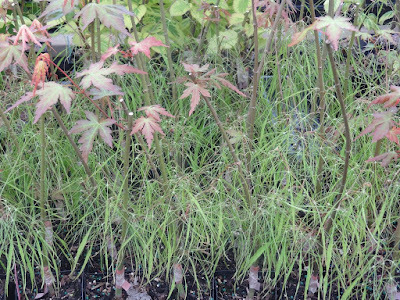 We had about 200 rootstocks from failed summer grafts and on Feb. 20 I cut scions of Acer palmatum ‘Japanese Princess’ ‘Ikandi’ ‘Alpine Sunrise’ and the new ‘Bloody Talons’. All scions came from stock in the greenhouse and on Feb. 20 they were just beginning to swell. They were kept on the hot pipe for 20 days and now, two months later, we see that nearly everything is vigorously growing. I have had the opposite results before too. We keep our rootstocks in their pots and do no “drying off.” We don’t dry off our summer rootstocks either. What I don’t like about the hot pipe – we call callus tube – is that we must graft about 3” above on the trunk so that the union is at the heat source, when I would much prefer to have my grafts as close to the soil as possible. I have “stick-budded” before, but I don’t like it because the scion-rootstock size disparity means that I have to keep the plant for an extra year or two before the cultivar catches up, so they are not suitable to sell as one-year grafts. Years ago a Chinese woman competitor propagated all of her maples via stick bud. Her product looked wimpy and vulnerable compared to a normal side graft and I took a lot of her business away. 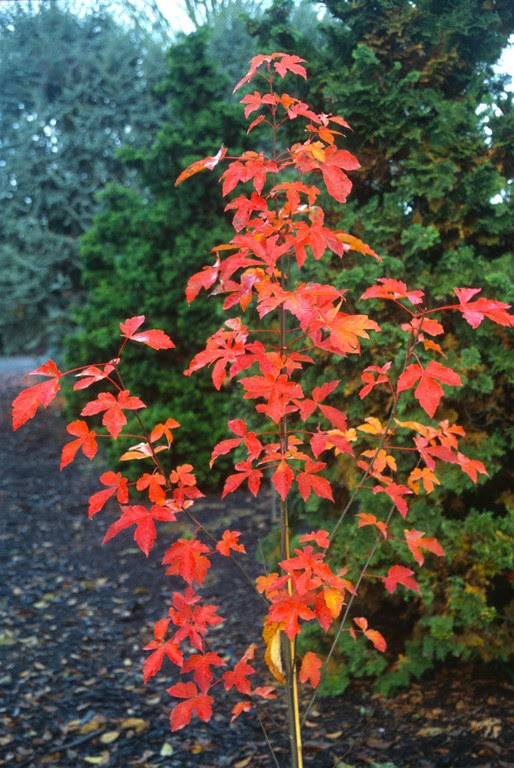 On the other hand my sister lived in the woods near the Oregon coast, and Acer circinatum grew wild just past her lawn. For fun I stick budded a couple dozen red laceleafs on her vines and some actually took. They were never very vigorous because she didn’t top the circinatum rootstock; nevertheless it was an odd sight to see red in her green jungle. 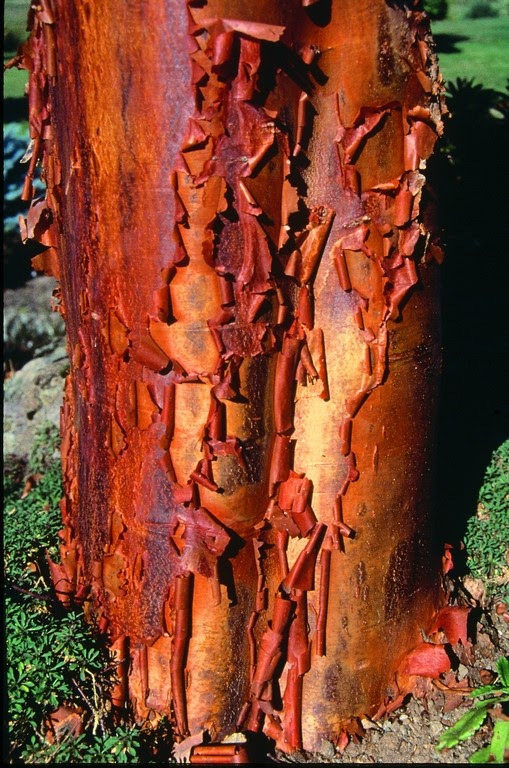 I was surprised to see the mention of A. circinatum ‘Little Gem’ as a candidate for top grafting. 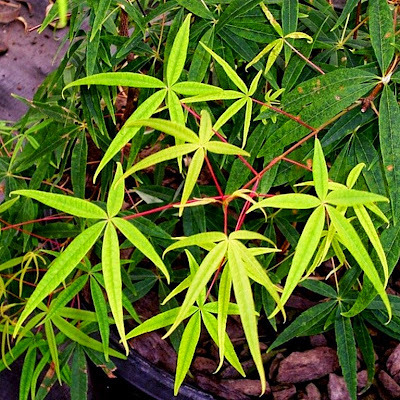 If palmatum rootstock is used the vine cultivar – whether a witch’s broom or an upright grower – will outgrow the rootstock and the product will always need the support of a strong stake. I find this also true with palmatum cultivars that originate from brooms such as ‘Shaina’ or ‘Kandy Kitchen’. Other dwarves or spreader palmatum cultivars such as ‘Little Princess’ or ‘Japanese Princess’ seem to be ok top worked, although stem colors seldom match. Whether with conifers or maples, as well as with other plants, what happens to the rootstock of a top graft can vary greatly. Some stay skinny forever and some expand significantly. 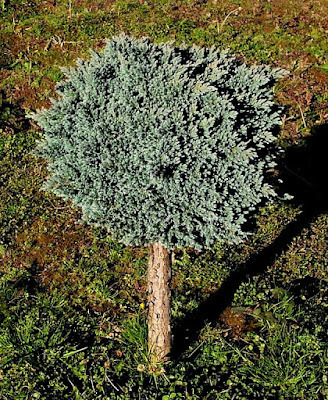 If you graft a Juniperus squamata ‘Blue Star’ (witch’s-broom origin) atop a J. scopulorum ‘Skyrocket’ the ‘Blue Star’ seems to act as a bottle stopper and the stem fattens up nicely. 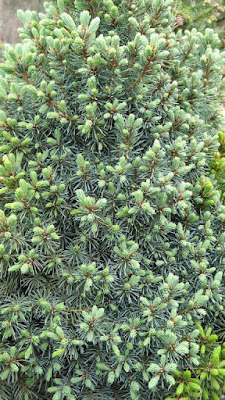 Abies koreana ‘Ice Breaker’ works but Abies koreana ‘Blauer Eskimo’ does not. I suppose the species of rootstock in question is a factor too. 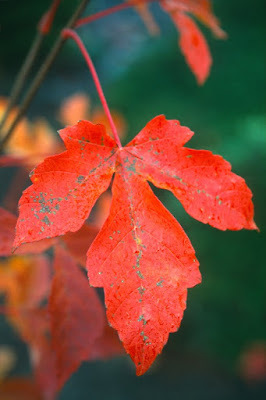 Years ago the propagator at Monrovia Nursey wanted to visit because he had heard that Buchholz did well with maples. I didn’t keep anything secret from this southern California university graduate of horticultural science. A week later I requested a visit to their propagation department and after a lot of hemming and hawing from the Higher Ups, I was finally granted permission. Boy, did we do things differently! Their rootstocks were about 2/16-3/16” caliper growing in 2” by 2.5” deep “rose pots.” I wondered how often they would need water on a hot day. Their crew performed side veneer grafts with leaves still on the rootstocks, so the scions started out in a good deal of shade. The propagator admitted that they had to frequently reduce the top foliage which was a very labor-intensive task. By contrast we use 3 9/16” pots with a rootstock caliper of about ¼”. Our container’s volume is about 8 times larger that Monrovia’s and of course they take up more room in the greenhouse but at least we don’t have to constantly prune. Monrovia had already finished a few thousand grafts, and I was shocked to see their full-time watering man with a small wand and with very low water pressure going up and down the pots. 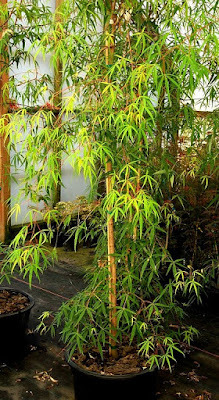 Each pot would be covered at least ten times before it was sufficiently wet, and great care was taken that no water ever touched the grafted union. They kept up this practice for about two months before the grafts were deemed safe for overhead water. What a boring job their hand-watering must have been, and I think that the irrigator was a university graduate too. At Buchholz Nursey we care less about the ingress of water into the graft, and sometimes our overhead is turned on one day after the graft was made. However we use large 8 x 3/8 x 0.20 budding stripes and begin wrapping ¼” above the graft union and end ¼” below. We leave no gaps in the budding strip, nor do we seal the top. This method works for maples and conifers, and because it does we’ve never experimented with any other way, although I am aware that many nurseries in Europe and America secure their grafts differently. We head back the rootstock on our summer grafts at least once, and perhaps twice for those grafted earliest. 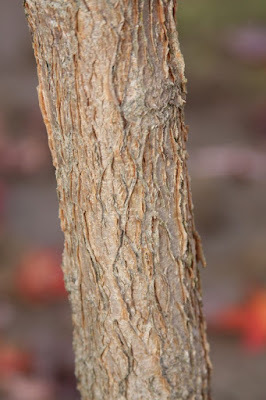 In the spring, (about the first of April in the greenhouse) when the scions show a couple of inches of new growth the rootstock is completely removed, leaving one bud set on the rootstock above the graft. Considering using 2-year scionwood – and larger scions – it is not a practice at Buchholz Nursey unless the 2-year wood is the only type available and large enough. But I have seen obscenely large 2 or 3-year scions used in England (Peter Catt) with apparent success. I understand one of the goals of horticulture is to “improve” on nature and to speed her up so that we can sell the product more quickly. I probably will experiment this summer with larger scions, but I wonder if my graft percentage will go down. I know that Vertrees recommended drying off rootstocks (1978) at least with A. palmatum. My first years I did as told, but eventually I stopped because I couldn’t see the value in it, and actually there seemed some danger in the endeavor to adequately rewet the pots. Always keep in mind that the solo propagator has the freedom to experiment and follow his inclinations; those with employees inevitably compromise and often adopt practices where the employees will do the least amount of harm. We overwinter summer grafts in frost-free greenhouses, but some experimenting on temperature lows might be interesting. 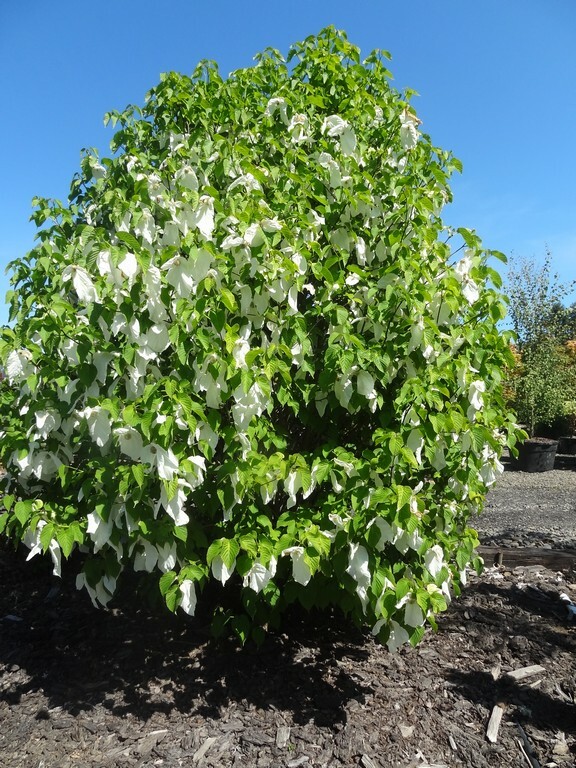 15 years ago we had 18,000 laceleaf and ‘Bloodgood’ grafts in a greenhouse that collapsed under heavy snow. It was a custom-graft project where the customer owned all the rootstocks and provided all of the scions. 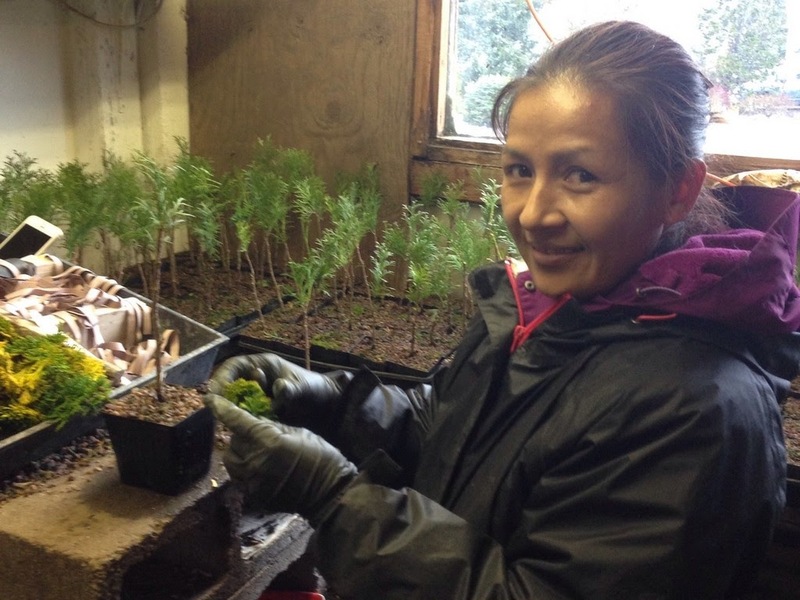 Throughout the night the grafts were exposed to 3-5 degrees of frost, then early in the morning the plants were transferred to an above-freezing greenhouse. 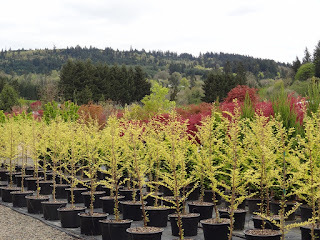 We threw out 168 plants that were broken at the graft, but everything else looked ok. That spring we were pleased with our normal 90-something percent success rate, and I was glad that I never bothered the customer (Ekstrom Nursery) about the incident. Competing nurseries usually pot up their one-year grafts into 1-gallon pots one year after grafting. They are watered and fertilized heavily and kept in warm poly houses. 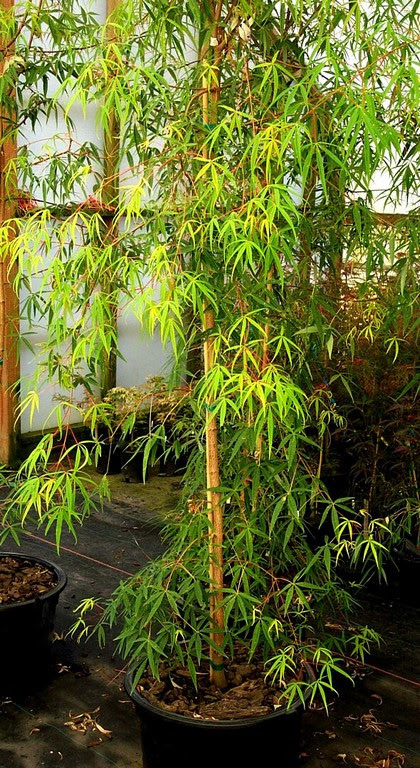 They are staked onto bamboo where some whips achieve 3’ of growth. The following spring they are shipped to garden centers as a plant slightly less than two years old. 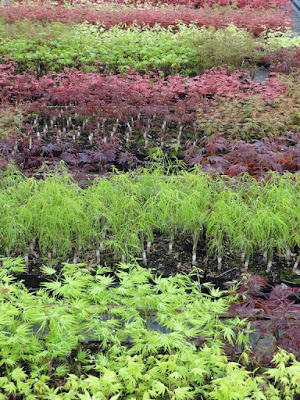 At Buchholz Nursery we don’t stake *Acer palmatum cultivars – we prune instead – and keep them an extra year. Our 1-gallon pots are more husky with greater caliper. These days the competition charges between $10-12 for their one gallon pots; we charge between $14-16 for ours. Admittedly their system is more profitable, but I am more proud of my plants. Furthermore, when growing the gallons on to larger sizes, our future plants will have more impressive shapes than the pushed-whip method. *An exception would be A. p. ‘Ryu sei’ where we want height first. When they are as tall as we want, then they are topped to form a well-branched umbrella shape. One of the best aspects of horticulture is that you can rub shoulders with some of the greatest plantspeople and learn from their experience. There have also been times when dumbshits teach me a thing or two. I don’t know where I fall that continuum, but at least I’ve been able to make a living. The last two weeks of April, and the first into May, are by far the most stressful for this nurseryman. The reason is that I fret about frost. We are so exposed, with orders sitting out waiting to ship, and I look at the weather forecast, sometimes more than once per day. Tonight, for example, the low is projected at 34 F (1.1111111 degree C), with “a passing shower or two.” Earlier this “spring,” 34 F was predicted and we got to 31. 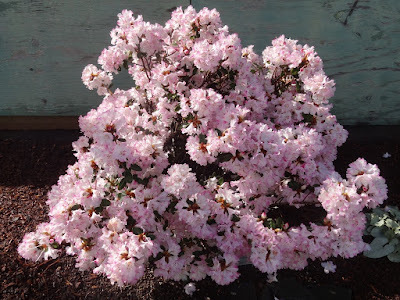 Fortunately, at that time there was less new growth, especially on maples, but it did smudge the blossoms on Rhododendron 'Seta' and 'Pink Snowflakes'. 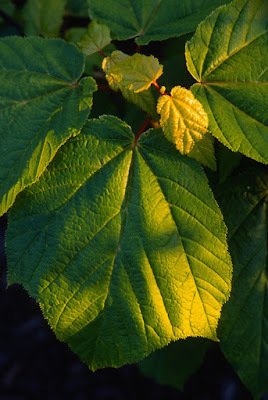 In the early 1980's we plummeted to -26 F on May 5th, and though the maples' new growth was reduced to mush, the nursery was fairly new and not so much was lost. 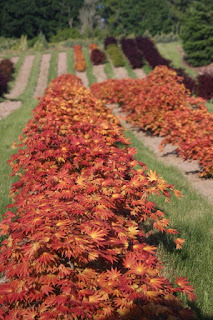 Another May 5th we exceeded 100 degrees and some maple cultivars, such as A.p. 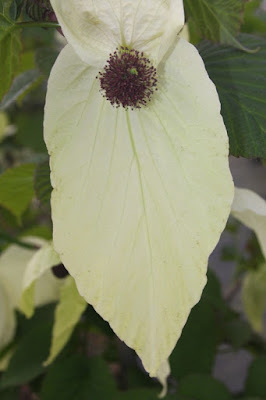 'Scolopendrifolium' had every cell of chlorophyll bleached out. For my money, I'll take excessive spring heat over numbing frosts. Nature hands to us each of our days, and she has shown me in my career many weather records, all of which cost me money. 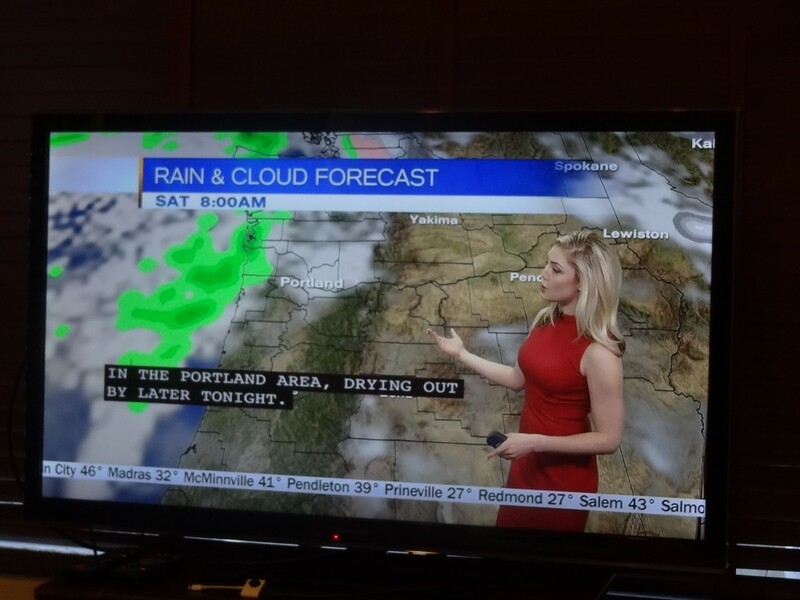 The extremes delight the pretty weather lady on TV, and she is comfortably paid whatever the temperature. Perhaps I should cuddle up with her and she can caress the worry from my brow. 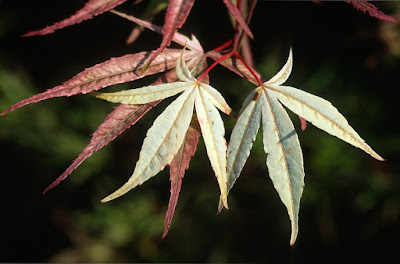 The first maples to leaf out in the garden are a couple of tri-lobed species, Acer mandshuricum and Acer triflorum, and both come from the same brutally cold areas in northeastern Asia. It seems odd that they are the first to leaf out, and one would suppose that the opposite would be true. 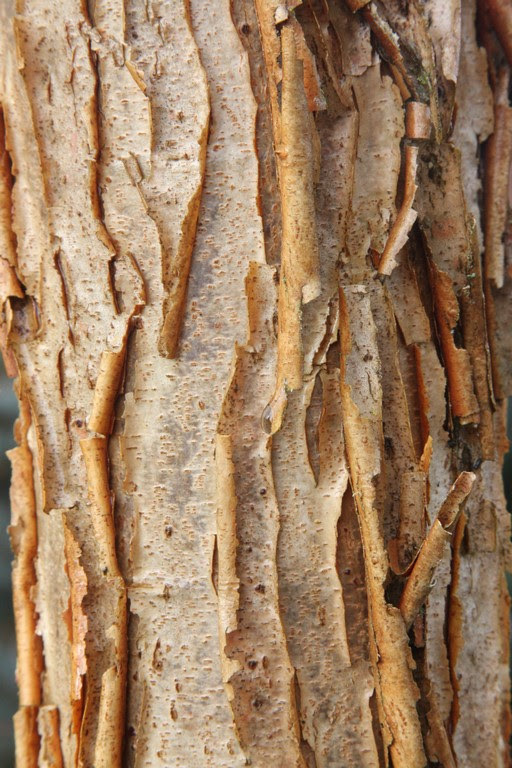 By studying leaves alone you might be hard pressed to tell the species apart, and for me the main identifying feature of triflorum is the birch-like exfoliating gray bark, whereas mandshuricum has a dark-brown and rough bark without much exfoliation. 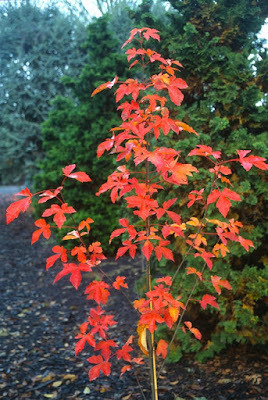 Since these species leaf out the first, they decide to also color in the fall the first, around mid-September in my Oregon garden. 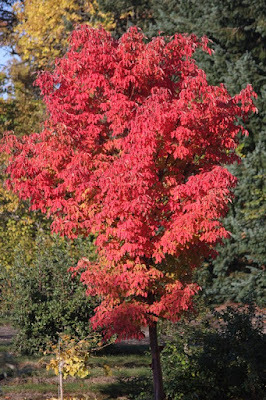 Acer mandshuricum was first described by the botanist Maximowicz in 1867, and a specimen was already in Kew Gardens in 1904. 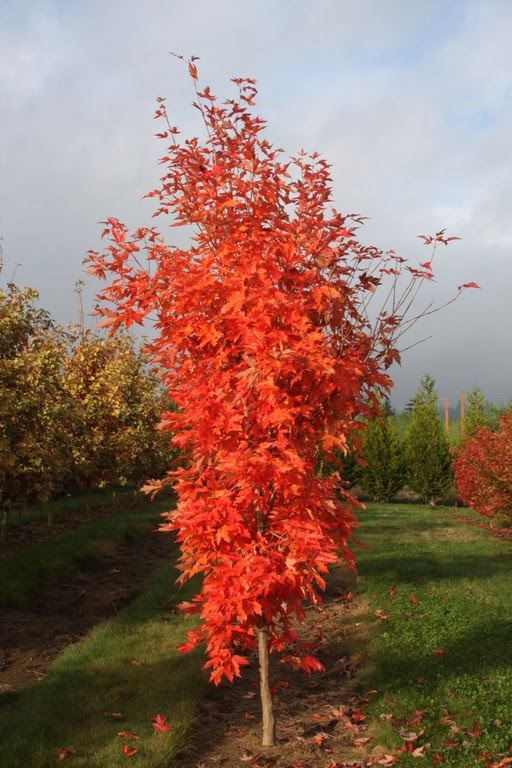 Surprisingly the Acer triflorum was a later introduction and didn't reach Europe until 1923. Both species can be found in arboreta and snob gardens, but seldom does the typical home gardener plant one; indeed we only sell a small handful each year. 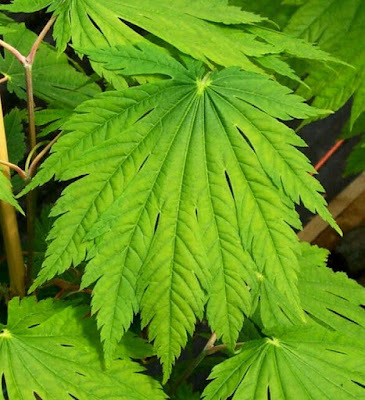 Various plantsmen display a curious tendency to champion their favorite trees, and maybe these Johnny-maple-seeds – like Roy Lancaster of England, actually accomplish some good, but I am a rather jaded entrepreneur and at this point I don't really care who grows what. 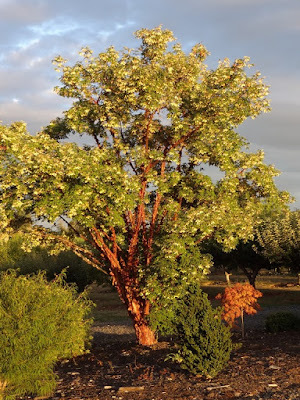 I feel compelled to mention another maple in the trifoliata section, Acer griseum, which takes a little more time to leaf out and so I worry about it less for spring frosts. 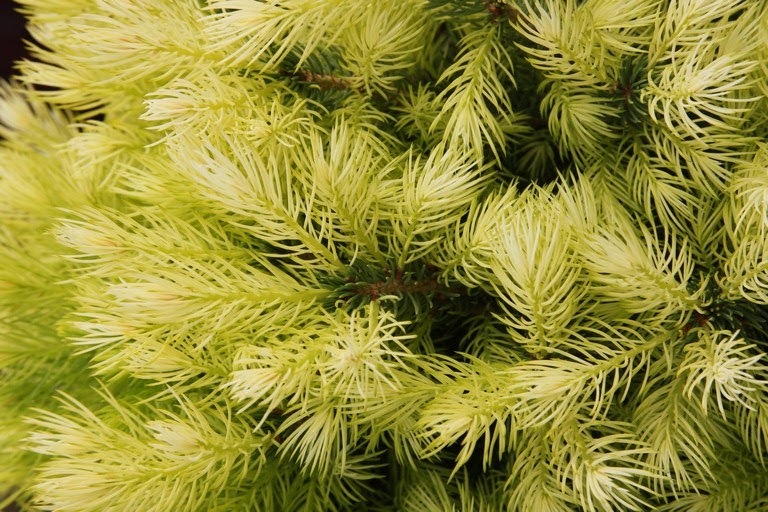 It is native to central China at altitudes between 5,000 to 6,500' and was introduced to cultivation by E.H. Wilson in 1901 while he toiled for the Veitch Nursery firm in England. 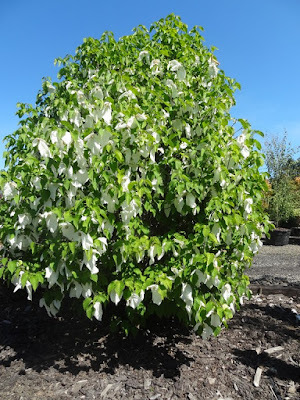 Wilsons' primary objective on his Chinese plant-hunting venture – as demanded by old-man Veitch – was to find and acquire seed of Davidia involucrata, and to “not waste his time on anything else.” But it turned out that the griseum – the “Paperbark maple” – was to become far more popular ornamentally. Take my hometown of Forest Grove, Oregon, for example, a sleepy berg of 20,000 souls. 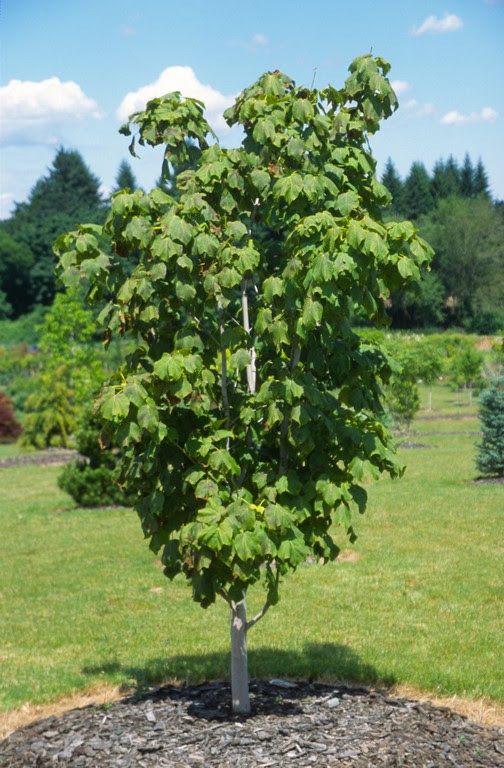 You will find griseum used as a street tree, but I've never even seen one “Dove tree,” Davidia involucrata. 37 years ago, when I started my nursery, that wasn't the case, and the A. griseum was also quite rare. 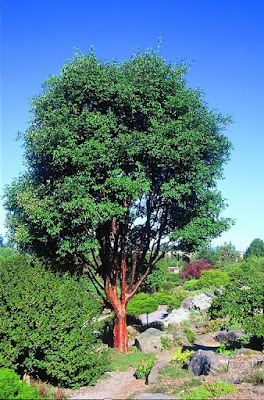 In the ensuing years, urban forestry planners and homeowners discovered how tough and beautiful was the griseum species, and that was accompanied by the success of nurseryman, especially in Oregon, to germinate and produce the species by the many thousands… when previously they were considered difficult. 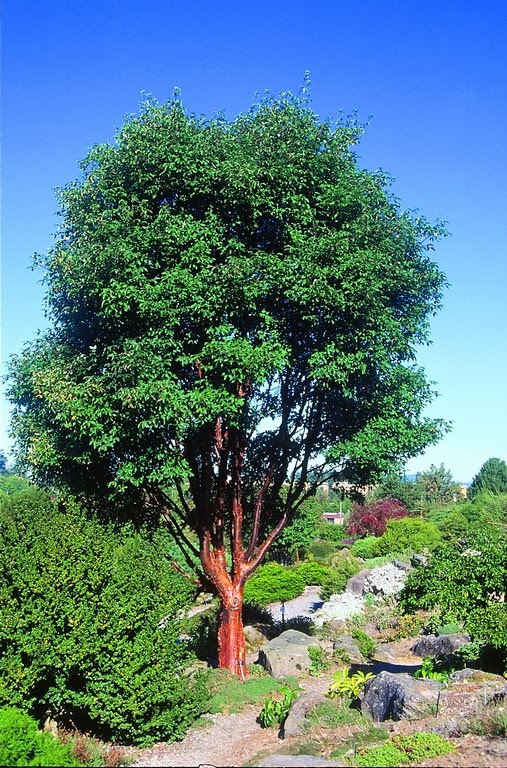 Consequently the “value” of griseum has declined – quite substantially – where I could sell a 5”caliper tree for about $350.00 twenty five years ago, and today it will only be about $170-190.00. Outside the Acer japonicums don't leaf out any sooner than the palmatums, but inside the greenhouses they sure do. 'Giant Moon' is in full fat leaf and already the 3-gallons are crowding each other. They have husky trunks and will need potting up soon. I have to remind the crew that they'll need additional water – the plants that is – and even though some have worked here a decade or more, the transition from winter to spring irrigation remains a novel concept. The disconnect with the needs of the plants irks me, like we're making no progress, but attentive plants people are in low supply and most with skill already own their own nursery. I can stand at the end of a 100' greenhouse and tell you what needs water on any given day of the year. If the tree doesn't prosper then neither do I, and as you can tell: I fret about more than just frosts. This time of year I love to wander into GH 18, our maple liner house. Our ace propagator, Juana, beams with pride when I tell her once again she did an excellent job. We grafted about 24,000 Acer last summer. A few will put on some new growth if done early but most sticks remain tight throughout the fall and all winter. It's actually a worrisome sight in winter with a multitude of things that can go wrong, such as heater failure, wind storms, record snow, wars, acts of god etc. So, when you finally see a high success percentage of gaily arrayed scion colors it is a joy to visit them daily. Juana asked me last September when would we graft Acer palmatum 'SnowKitten' – the new variegated mutation from 'Mikawa yatsubusa'. I cut all of the scions and apparently she was getting anxious, and I already know that she would like to take one home once we have a chance to build up our stock. 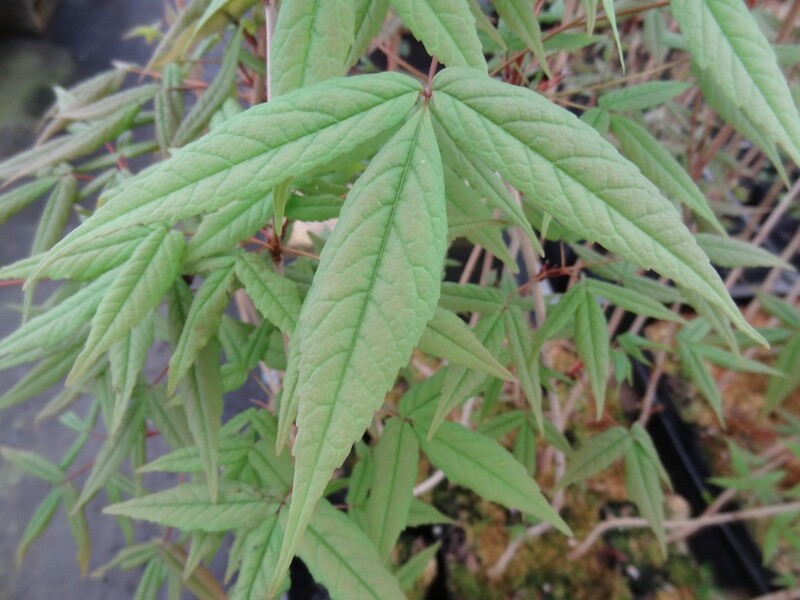 'SnowKitten' is a terrible name for a maple but that's what we are stuck with, and I too had observed our possible scion source for the previous two months. A two-gallon pot, my original start, and eight little one-gallon propagules from the original was all that we had for scionwood, and none of it looked very good. I determined that it wasn't worth the effort and we'd just skip a year. Juana disagreed, and she looked me straight in the eye in challenge, a situation I actually liked. So, I told her to go ahead and cut the scions and graft as many as she could. I must impress upon the reader that she had absolutely nothing to work on with, and yet I just went and counted 31 cute healthy plants. If anyone is in need for some extra loaves and fishes, Juana can probably pull it off. 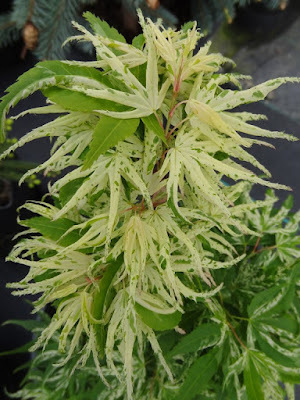 Also quite impressive was our “take” on Acer palmatum 'Fairy Hair', where not only did we achieve a fantastic 99% (seemingly) success rate, but the scions have bolted with unusual vigor. 'Fairy Hair' used to be named 'Fairyhair' – one word – and since it was my introduction I can spell it anyway I want. 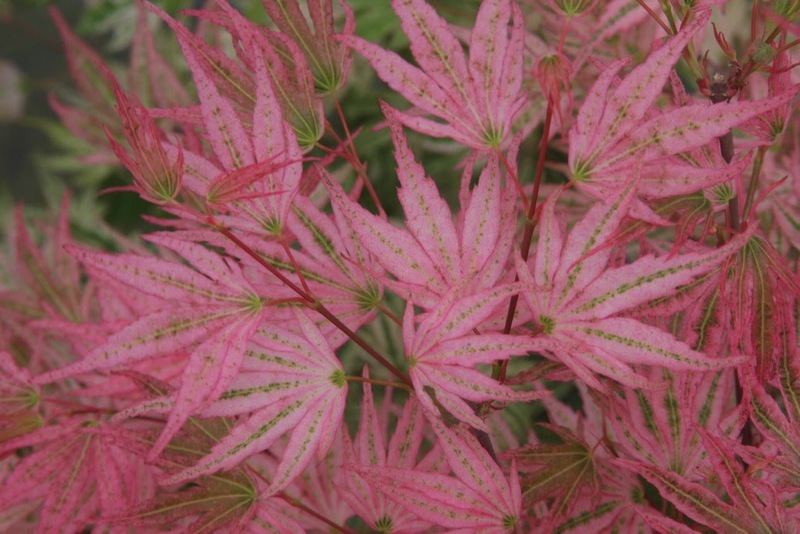 But when it was listed in the Vertrees/Gregory Japanese Maples book, liberty was taken to alter the spelling. I shrugged and went along with the change since Timber Press would probably not issue a recall to correct the mistake. At one point we had endless scion wood for 'Fairy Hair' so I began to cash out on the stock plants. They easily sold and I guess I got carried away, for the following season I was hard pressed to find good scions. That was about five years ago but now we're back to a good supply. One hundred plants in GH 11 in 7 gallon pots had a wonderful growing year and they shot multiple shoots between 18-24” long. These were cut into about three scions each with the soft tips thrown away. Juana did her magic and now we have a crop growing like weeds. 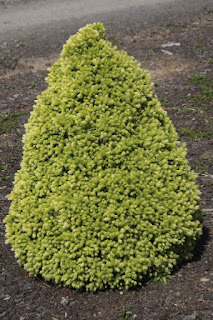 The largest 'Fairy Hair' in the world is planted (in full sun) along the main road into the nursery. 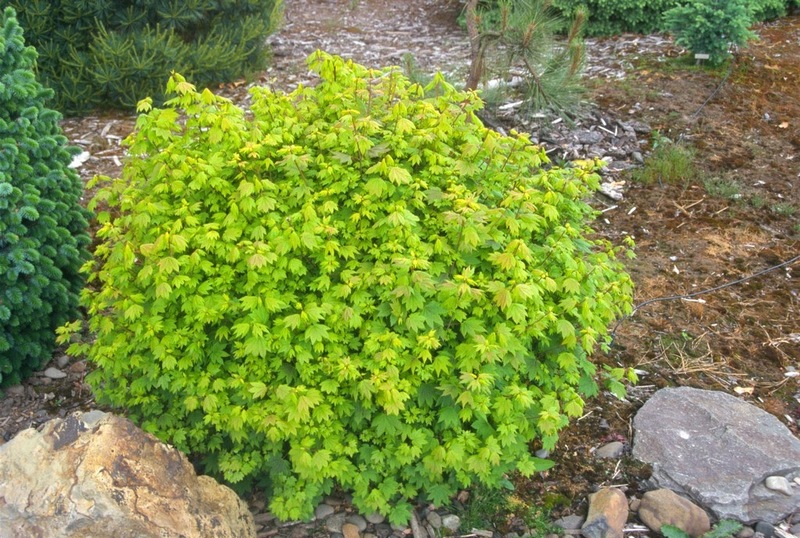 A frost probably wouldn't harm it as the leaves have not yet fully emerged. 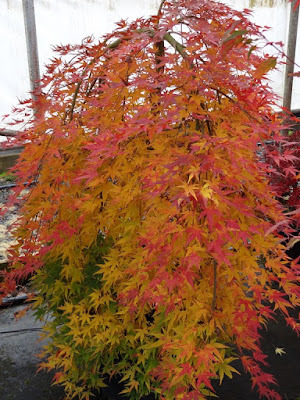 Planted next to it is probably the largest Acer palmatum 'Mikawa yatsubusa' in the world, and it is very much in leaf. In the past we would cover it with plastic when lows were predicted, but that was such an effort for its large size that now we do nothing. I know that a hard frost would render it unsightly for a few months, but by July it would push out new growth and look fresh again. Of course, I would require a three-month vacation from the nursery during Mikawa's recovery. The Acer shirasawanums are generally the last of the “Japanese maples” to leaf out as evidenced by our original – and now too large for its place – 'Autumn Moon' planted by the office. 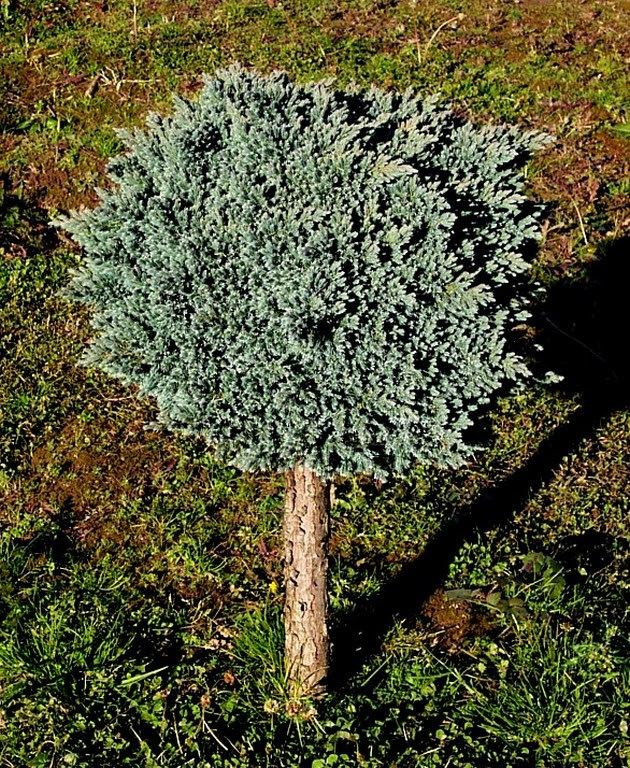 I was given this tree in a one-gallon pot years ago by a sweet woman who has long since passed. What was her name – Marjorie? Anyway, she was the sister of Del Loucks, he who has introduced many cultivars into the trade. His sister also had her foot in the Vertrees door and so she was one of the first to acquire 'Autumn Moon'. 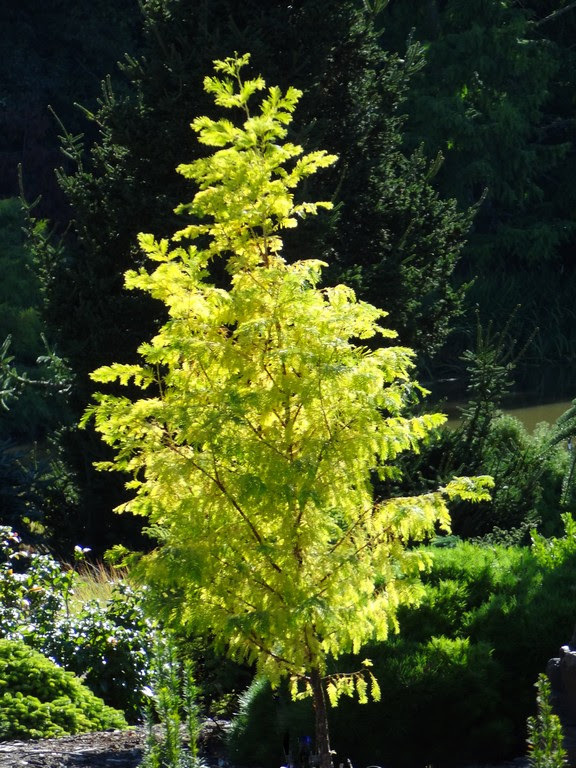 It was raised by Vertrees as a seedling from Acer shirasawanum 'Aureum' and selected in 1978. Thousands of 'Autumn Moon' have been produced over the years and I have been responsible for many of them. Another seedling selection from 'Aureum' was discovered and named 'Moonrise' by Carl Munn of Oregon, but surprisingly it was never mentioned in the latest (4th edition, 2009) Japanese Maples. Many growers prefer 'Moonrise' as it perhaps withstands full sun better than 'Autumn Moon'. 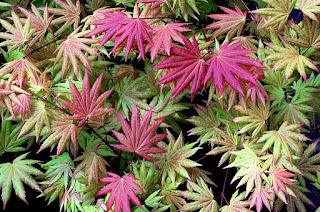 One can always worry about other plants freezing besides Japanese maples. A crop of Metasequoia glyptostroboides 'Kools Gold' was photographed in mid-April a few years ago. Some had already been shipped but some still remained at the nursery. They were hit with 29 degrees F one night and a day later all I could do was groan. 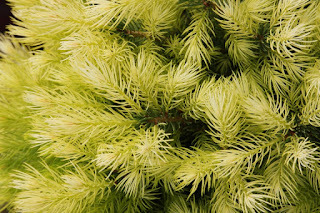 Every plant's new growth reacts differently to frost, and the dazzling delicacy of 'Kools Gold' didn't fare so well. We potted them up and hid them in the back somewhere and by July they looked great again. 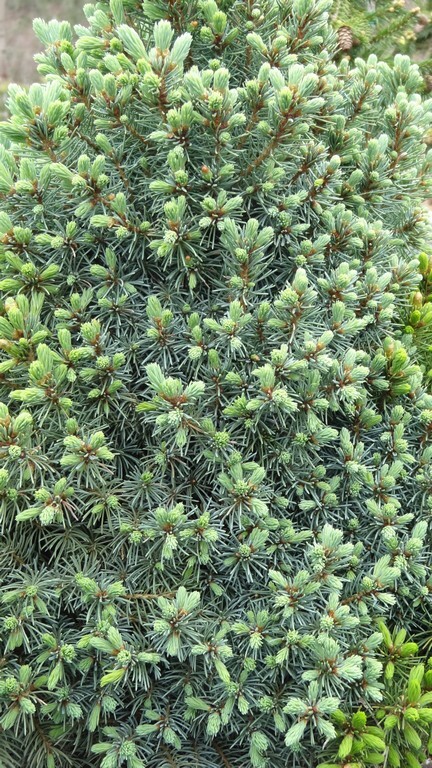 The “Alberta spruces,” Picea glauca var. albertiana 'Conica' display about a quarter inch of vulnerable new growth at this time. 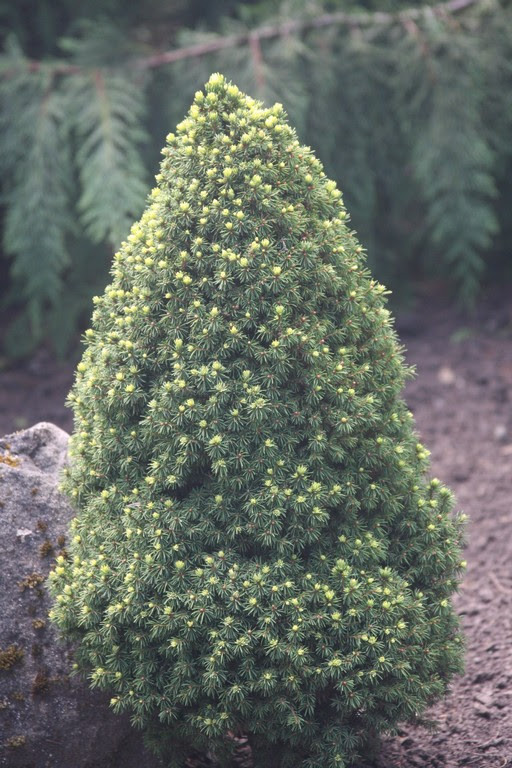 Keep in mind that not all cultivars of Picea glauca – the “White spruce” – are dwarf compact pyramids designated as var. albertiana, and 'McConnal's Gold' would be an example of a regular sized upright tree, except one that features cream-yellow new growth. But it is the var. albertianas that have pushed new growth while the other forms are still biding their time. 'Daisy's White' is fun now after spending nine months of gray-green boredom. The diminutive 'Pixie Dust' is spotted with opening buds, but it's the second flush later in spring that will show off in yellow. 'Alberta Blue' is covered with a hint of light blue in mid-April, but by summer we'll be reminded that all blue Alberta cultivars can revert to portions of green – at least all have at Buchholz Nursery. 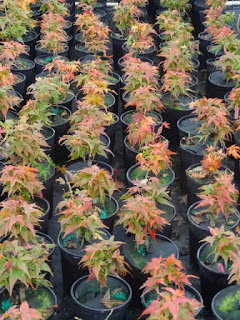 When I worked for a large container nursery in the 1970's they were known for growing many hundreds of thousands of Albertas, indeed acres and acres. 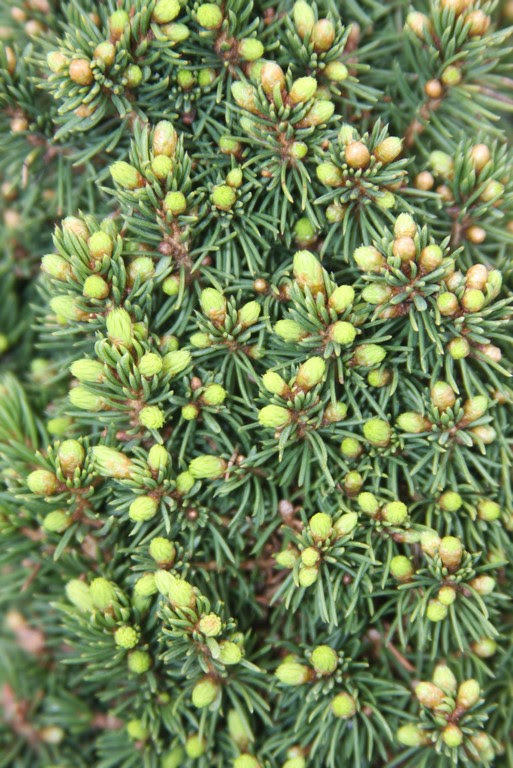 It was my job to turn on the irrigation in the middle of the night to stir up the air to keep the spruces from freezing…and it worked. I guess I was a better employee then than an owner now, or at least then I had more energy, because now I don't water at night. Well, except for my middle-of-the-night trip into the bathroom. Another problem with frost is the action we must take with our irrigation systems. At 31 degrees no pipes will break, but at 28-29 degrees some will. To prevent damage, we drain the system and open valves, a task that takes a good man about two hours. Then it's another two hours – maybe the following day – to reactivate the system should we need to water. The off-on undertaking costs close to $100, but then repairing pipes is even more expensive. Of course, the weather forecasts are just are just an approximation of what might occur, but every day of the year I'm tuned into them. Earlier I fretted that the temperature was predicted to be 34 F (in Portland) with frost in outlying areas. My whole life has been lived in an outlying area. We closed all the greenhouse doors but we didn't drain the irrigation. It was a balmy 36F when I got to work the next morning and I was most pleased, so it appears my fret* was unfounded.